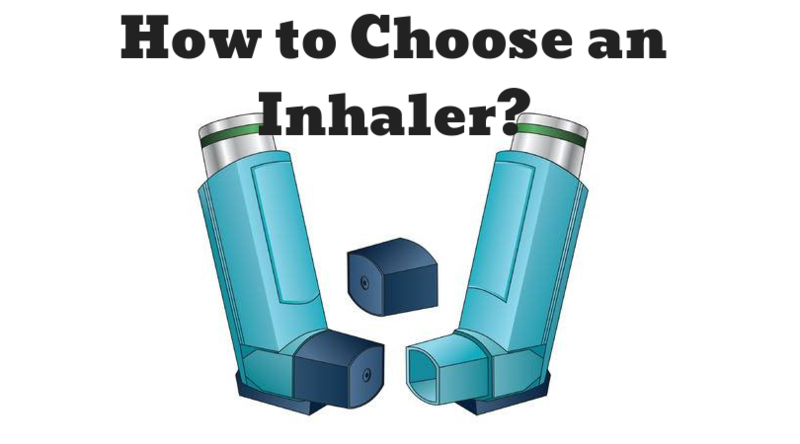 Home > News > Asthma School > How to Choose the Inhaler? Today, medicine has made significant progress in the treatment of asthma. Over the past 50 years, in medicine, there has been a significant leap in the field of inhalation therapy. A number of effective inhalers have been developed, for the rapid and safe delivery of a medicine directly to the site of inflammation (bronchus). Direct drug delivery to the lungs also allows you to get a faster healing effect. So What are They – Inhalers? How does the doctor choose an inhaler for a particular patient? The physician should know the technique of inhalation when using each type of device in order to choose the right inhaler most suitable for treating the patient. In addition to trade names (Berodual, Symbicort, Seretide), there are also the names of the devices used to deliver the medicinal product: Turbuhaler, Handihaler, Respimat, Breezhaler, Multidisk, Twisthaler, metered-dose inhaler and others. I want to tell you exactly about the devices according to delivery devices. I write the trade names of the drug, because, you are so easy to navigate. After all, not everyone knows the drug according to the active substance. And since many of them are combined, the names may also be doubled: budesonide/formoterol, fluticasone/salmeterol, ipratropium bromide/fenoterol and etc. There are metered aerosol inhalers, which are used either alone or with a spacer. A spacer is a special plastic chamber that serves as an intermediate reservoir for the drug between the can and the patient’s mouth and facilitates the use of the inhaler. Briefly, they are called metered-dose inhalers (for example, salbutamol, berodual, Seretide, Flixotide). It is one of the most common types. This type of device is created one of the first. There are disadvantages, but the pluses are indisputable. The technique of using a metered-dose inhaler is to synchronously press the can and simultaneously inhale. If synchronization is difficult, then a spacer is used. There are aerosols, activated by inhalation – this is when the medicine is given exactly under the strength of your inspiration but not pressing. By the way, other drugs for aerosol therapy are being developed: insulin for the treatment of diabetes, a vaccine against measles and the human papillomavirus, chemotherapeutic drugs for the treatment of lung cancer, new forms of antibiotics, gene vectors for the treatment of cystic fibrosis. There are powder inhalers (PI). They, in turn, can be singly charged. Before each inhalation, we take a new capsule with medicine, and insert it into the device, pierce it, and inhale. We use the device for as long as we want, we just buy new capsules. There are multiply-charged inhalers (for example, Symbicort Turbuhaler, Seretide Multidisk). In these inhalers, a certain number of doses is already included – 60, 90, 120. We only need to use a special or a metering device to specify the dosage. Here, after the end of the doses, we throw out the entire device and get a new one. Do not forget about the nebulizer. The device was created precisely for this purpose – for reaching by the medicine of the lowest parts of the respiratory tract to help asthmatics and patients with other chronic pulmonary pathologies. It is not applicable to cure a runny nose or cough in the case of the diagnosis of ARVI. If patients follow the recommendations on the technique of using the inhaler, all types of devices will be equally effective and will have therapeutic effects, although different doses of drugs may be required. do not change the form of the inhalation device without discussing with the patient and then learning the correct technique. Your doctor should be firmly sure that he has prescribed the most suitable inhaler for the patient, and most importantly, that the patient KNOWS how to apply it correctly. The patient needs to get an explanation that if the technique is not right, the medicine gets into the respiratory tract in a smaller dose, or does not reach them at all. If the patient is addicted to a single type of inhaler, then there is no extreme need to assign another type of this device. And if you are prescribed another inhaler – the doctor is obliged to teach the patient the technique of inhalation from the very beginning. It is easier and more convenient for a patient to use combined drugs than the same medicines but in separate inhalers, and even with different types of devices. Thus, the doctor increases the patient’s adherence to treatment. The patient should always be able, if necessary, to quickly activate the device and perform inhalation in any conditions (for example, on the street, in transport, etc.). The choice of an inhalation device for children depends on the cognitive abilities of the child. Children under 2 years, as a rule, are not able to perform specific respiratory maneuvers and must, therefore, be treated with a nebulizer with a face mask, or a metered-dose aerosol with a spacer. Children 2-5 years. You can also use a nebulizer, but you can safely use the medication with the help of metered-dose aerosol with a spacer and a face mask. Older than 6 years – the use of metered-dose aerosol with a single inspiration (it is already possible without a spacer), and powder inhalers (Symbicort Turbuhaler, for example) have already been approved. After 12 years – the choice of treatment is already similar to adults. When prescribing aerosol therapy for the elderly, the doctor faces the same problems as in the treatment of children. Reducing cognitive abilities means that complex respiratory maneuvers can cause difficulties in patients. And you need an inhalation device that you can and will use correctly. The optimal solution will be a compressor nebulizer for the majority of elderly patients with disabilities.